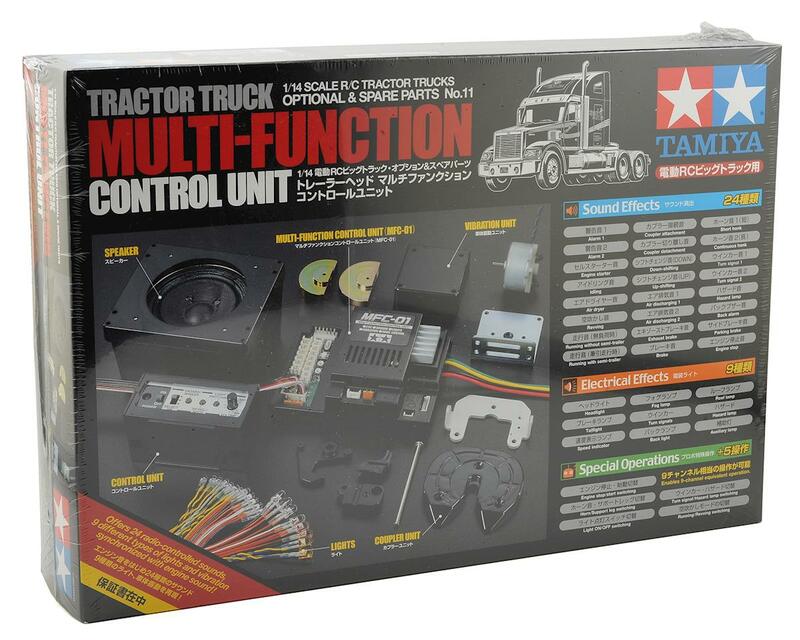 The Tamiya 1/14 Semi Truck Multi Function Unit provides incredible sound and action options for Tamiya's Knight Hauler or any other 1/14-scale RC Tractor Truck. It offers 24 sounds that have been digitally recorded from a powerful full-scale truck. 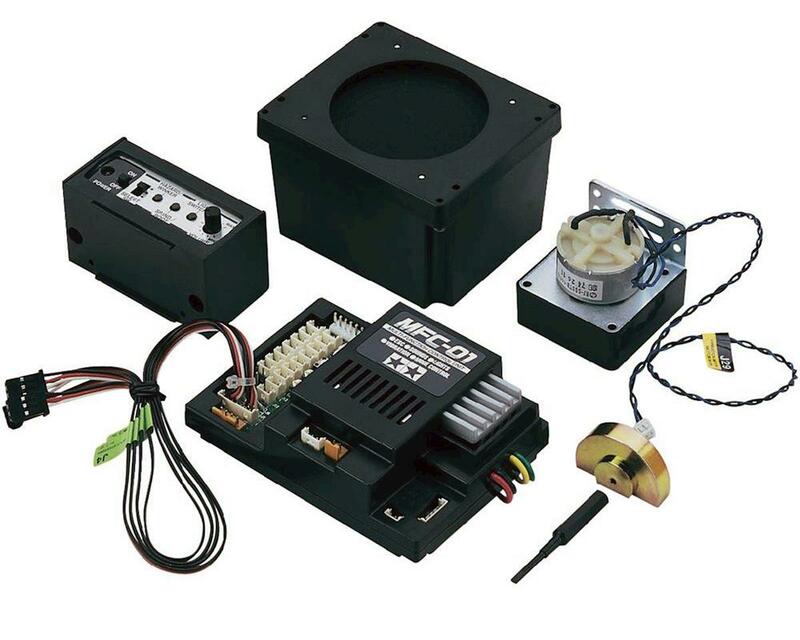 Not only does the Control Unit control sounds like air brakes, engine idling, coupler connection and more, it also works lights, turns power on and off, functions as a low-speed electronic speed control, vibrates and many more realistic functions. By using your transmitter sticks and the trims you can control the truck movements (forward/backward running and turns), horn, motorized support legs (TAM56505 - sold separately), headlights, position lamps, roof lamps and speed indicators. You can also activate the back lamp, tail lamps and blinkers/hazard lamps as well as engine revving. Combine this optional scale accessory with the Semi Truck Motorized Support Legs (TAM56505) for the ultimate in big rig realism.